DSB needed to know when passengers feel good on the train so they could better develop and refine their products and services. How do users carve out spaces of personal comfort on the train? We left behind our woolly socks and steaming mugs of tea, and set out to understand what comfort means in the context of a train. We sped across Denmark on local and long-distance trains with our respondents to observe and understand their experiences. We defined parameters of comfort and DSB received a catalogue of recommendations to enhance the experience of passengers on the train, and consequently improve customer satisfaction levels. Comfort means something different depending on whether you are travelling for leisure, business, or are just on your daily commute. We studied the needs of the three user groups seeking overall similarities and group specific requirements. In general, we found passengers’ responses fell into two categories of personal comfort: one as a function of predictability and the other of personal space. If both of these were taken care of, passengers were able to direct their mental energy elsewhere, and could have a more comfortable journey. We also discovered seasoned passengers set expectations for their journeys based on the type of train itself; when it comes to comfort the IC-32 is a clear favourite and sets the benchmark for all other journeys, whereas the double decker train is perceived as noisy and the worst of the lot. An understanding of the overall factors gave a clear indication to DSB of where they should concentrate their efforts. We conducted participant observation sessions among the three user groups, and mapped underlying tensions and contradictions — for example passengers craved personal space, but enjoyed the social aspect of being on a train. We evaluated the quality of DSB’s visual communication of appropriate behavior, such as the signalling of silent zones or seat division lines. We created and prioritised interventions that could support and enhance customer satisfaction and increase levels of personal comfort across four touch points: on the train, on the platform, through the staff, and in the communication of time. We highlighted quick wins such as installing more power outlets and fold out tables. On a more managerial level we recommended passengers be allowed to choose the intent of their journey as either leisure or business at the time of booking, giving DSB the chance to group like-minded passengers together and control the vibe of the train. Training staff to be ambassadors and mediators of conflict would also improve the passengers’ confidence in DSB. When is communication on time changes experienced as meaningful to passengers? Explorative research and development of recommendations on how to communicate time, in order to make information concerning delays meaningful to passengers travelling by s-tog. What creates personel comfort during travel, beyond seating? 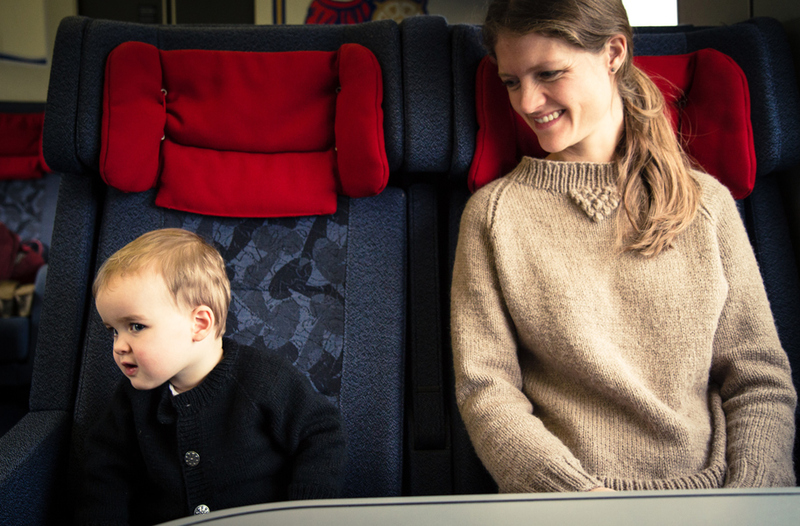 We defined parameters of comfort, and DSB received a catalogue of recommendations to enhance the experience of passengers on the train, and consequently improve customer satisfaction levels. What makes a soundless tv-format on public trams entertaining? We explored how passengers percieved and used the roof mounted screens in the S-tog, to devlop inspiring recommendations and concepts for future entertainment formats. What makes traveling by train a safer experience? We identified multiply factors influencing the travel experience in a safe or unsafe direction, and created recommendations for a range of initiatives to support a safer environment at platforms and in trains. How do you attract the right employees? We developed recommendations to improve a recruitment platform and materials, by gaining insights from six types of employees at different organisational levels. We identified crucial factors threatening the customer experience of cleanliness and comfort on board trains and in stations. The more nuanced understanding empowered DSB to take action in areas that affect theover all customer experience. What makes train travel a premium experience? We travelled along with passengers on DSB 1’ to help define their expectations towards a premium service offer, and developed recommendation for the future competitive service concept.